Give your reception room the finishing touch by adding between 6-12 venue uplighters to your wedding venue décor! My wedding uplighting equipment is battery-operated so it can be placed anywhere to highlight an entire wall, ceiling, floor or even specific features within the room, making everything in its path glow with colour. Create the mood you want for your wedding reception, from soft, fairytale lighting to strong and dramatic. You can select any colour or shade you like, whether you want to match your theme or go for pure white. Static colour or colour mixing can be done during the course of your wedding reception to give your evening a sense of transition. 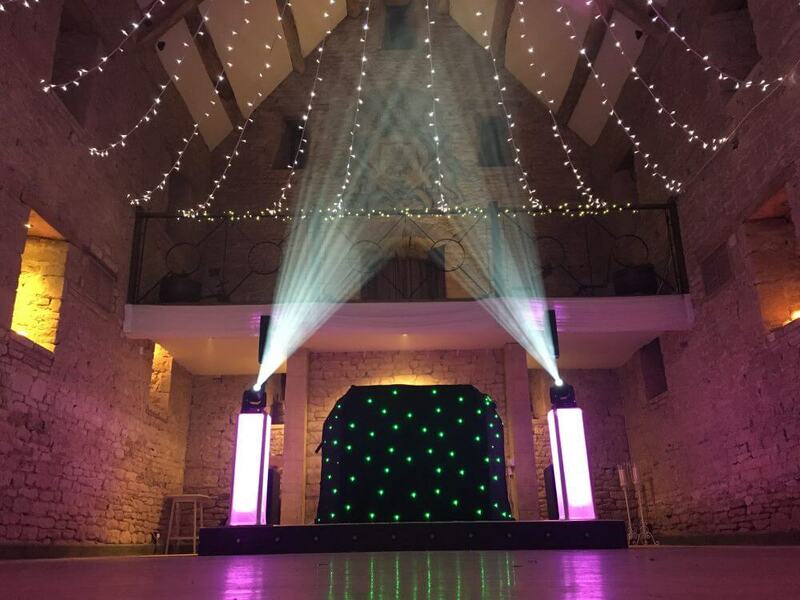 Please note uplights can only be supplied with DJ services.